How well do you really know someone? That is the premise of Douglas Kennedy’s The Blue Hour. Set mainly amidst the backdrop of the magical madness of Morocco, the story is about a married couple whose marriage suddenly goes into disarray. Robin is married to Paul, 58 and 18 years her senior. She wants a child, badly, and Paul has reassured her that he feels the same way. The mind sees what it wants to see. This is just what Robin wants to hear, since her first husband was dead set against the idea of embarking on the parenting journey. But, as the novel builds up in its intensity, secrets are uncovered which makes Robin seriously doubt the validity of anything and everything that Paul has ever told her. Paul, is a happy-go-lucky spendthrift artist. Ironically it was during one of his bouts of financial hardship that he met Robin, one fine day as he came into her accounting office to figure out how to get around paying his thousands of dollars in back-end taxes. It was Paul's idea to travel to Morocco, a surprise he sprung on Robin complete with tickets and all. But against the magical sunsets and the allure of the blue hour, their romantic trip starts to turn into a series of disasters. Robin finds a devastating email that makes her furious at Paul and question how well she really knows him. Things unravel very quickly after that. This is my first Douglas Kennedy book, but from what I’ve heard he is the undisputed master of the rollercoaster ride. The book is wonderfully set against the backdrop of Morocco. A movie would not surprise me. A bit of critique: after the first major shocker of the book, other parts became fairly predictable, almost feeling like they were borrowed from other familiar plotlines. Conversations also seems a bit contrived, like Robin speaking with the pastor. In that instance, the flow of the dialogue was forced and perhaps needed a bit of tighter editing. But I am nitpicking, for those who want to be consumed by a thrilling, fast-paced page turner this summer, The Blue Hour would make a great choice. 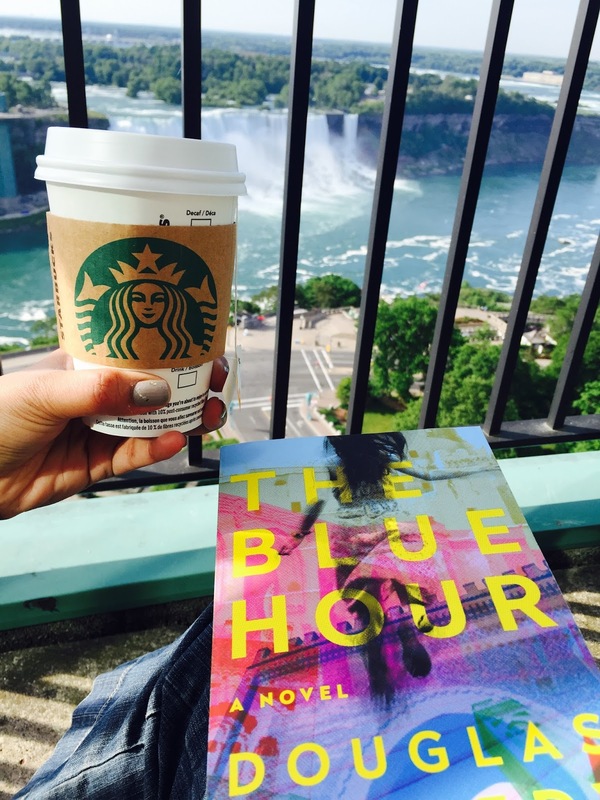 The Blue Hour is published by Simon Schuster Canada.